These renders show two possibilities of adding indoor planters to this lobby my firm recently designed. Everything was output from Podium except the plants (which were added in photoshop from the SU model) because they had too many poly faces and it would have tripled the time to render them in Podium properly. Unfortunately they came out rather bright... the grass looks like little green fires, and the bamboo is very saturated. But since they are the main point of the image, i guess it will do. 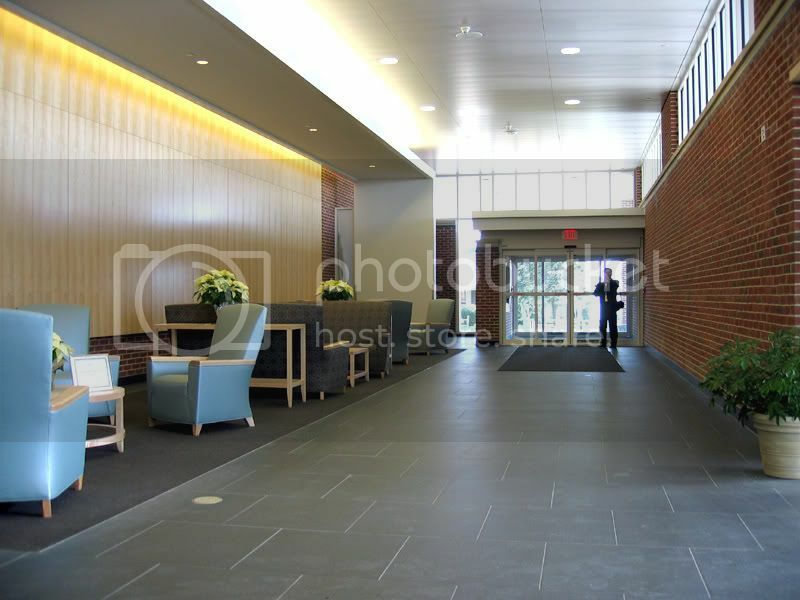 For comparison, a photo of the actual lobby. It's Cape Cod Hospital in Hyannis, Massachusetts. Spot on! The photo looks just like the renders! 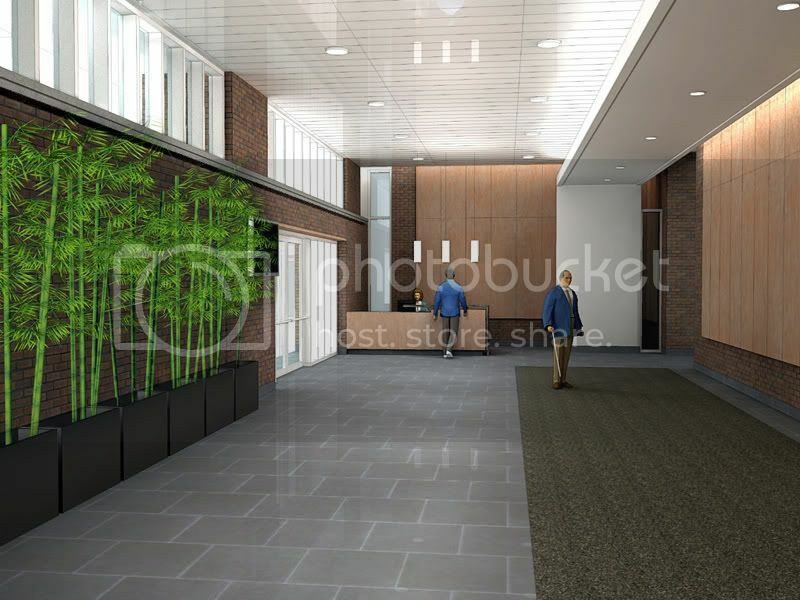 The renders are really nice, even with the fluorescent plants! haven't seen you here for awhile. 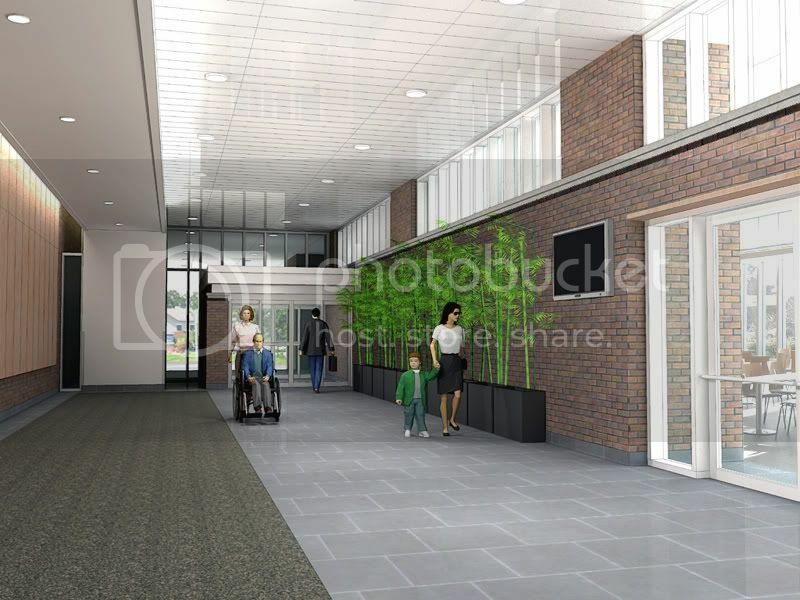 Your renderings are better than the real picture. The light is overexpose in the real picture. nice to see your works again. Are you using SU 6.0? Wondering if you can use photo match somewhere in the process, model/render the planter and place in Pshop. Although your mixed media renders are awesome! Edit: feel silly here now. I notice the furniture is virtual!! I'm still using SU 5... will probably try out SU 6 soon. You noticed there are no chairs and tables in my rendering... once i get CAD plan and elevs from the supplier, i'll attempt to model the sofas. is that you in the real picture holding the camera? no, i took the picture. That is my colleague. 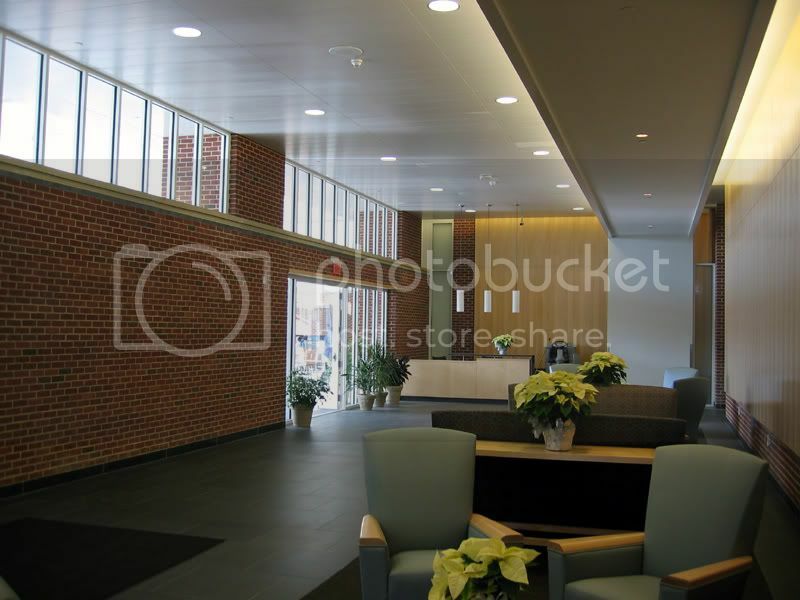 i think the 3rd image ( the actual picture) is a bit burned ... you should decrease the light multiplier on the ceiling. Thanks for comments =) The photo is not for presentation purposes... i am just showing it for comparison to the 3D. Next month a professional photographer will be taking a decent picture of the space. I am not a very good photographer so i didn't even try... =) But if you can fix it i'd appreciate any help. By the way that is real furniture in the photo... not virtual. just want to say that your podium rendered images are much better than the picture. Zem, nice renders. 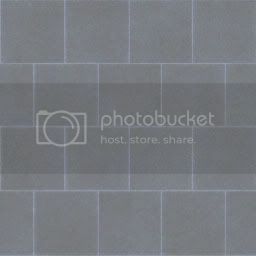 I like those floor (are they honed slate) tiles. Do you mind posting the floor texture. Just brilliant....your model is perfect and your rendering is flawless. Here is the granite tile. I made it myself... by inverting the color of the concrete tile that comes with SU, and shifting two of the rows half a tile over. Enjoy!